Where are the best places for shopping in Iran? If you have planned to travel to Iran, you may wish to get some information about the shopping malls and in general, where to choose for shopping in Iran. So make sure you read this article written by Iran Destination, a greatly-known Iran tour operator. Here I have classified the major cities in Iran and then introduced different places for shopping. These include both luxurious malls and traditional shops for shopping in Iran. Palladium mall, in Tehran, is a luxury shopping center with 200 brand rtail shops, 24 restuarants (food courts, coffee shops and dine dining), book land, a large Hyper Marker, a luxurious athletic center, the largest toy store in the Middle East, etc. if you are into luxury shopping, you really don’t want to miss this mall. Also if you are looking for traditional Persian art works, don’t forget to visit Zeen Shop. It offers such great diverse things from home décor and Persian rugs to fashion, accessories and jewelry and it will add an elegant touch of contemporary Iran to your home. You won’t walk out empty-handed. Tehran’s Grand Bazaar consists of 10 kilometers of covered alleys, divided into different sections, selling different types of products. You can really buy anything you imagine; the most featured ones are jewelry and carpet. If you really want to feel Iranian market life, you’d better pay this place a visit. There are also some teahouses and restaurants there which you can try when you need to relax. Tehran’s Grand Bazaar has played an important role in political, social and cultural development of Iran particularly during the Qajar and Pahlavi periods. So, away from the shopping aspect, you may like to look at this great historical site for a taste of history. Arg Commercial complex is really a complete collection of the most famous brands in Iran including clothes, home appliances, cosmetics, carpets and rugs, electronics and kitchen, jewelry, Perfume, glasses and Rhinestones. This complex has also other features including an amusement park, restaurants, amphitheater, food court, coffee shops and green roof garden. This is located in north of Tehran, almost near Tajrish square. One of the unique features of this complex is its interactive capability. On special nights, people can create an interactive communication with the façade by standing on a special place and moving their hands. Sam Commercial Complex, established in 2011, offers valid and famous brands in the field of clothes, perfume, bag and shoes, gold and jewelry, wrist watch, complementary items, silver, cosmetics, Eau de Cologne for meeting the customer’s requirements i.e. customers being tried and fed-up with travel, merchants and policy makers and any perspicacious person looking for unique items of lifestyle and also respected who travel to Iran and are very far from their homeland to feel relaxed and enjoyable atmosphere. You can also see the Alborz Mountains from this complex. Modern Elahiyeh Complex, a luxurious and modern shopping center, opened in 2011 and it is located in Elahiyeh region. This Commercial Complex also includes famous international brands in clothing, cosmetics, jewelry, watches and accessories. The commercial section of the complex includes 40 stores and 2 coffee shops and restaurants. There is also a royal floor located on the 5th floor which includes a number of boutiques, jewelry galleries and a modern and luxurious out door coffee shop and restaurant. If you want something authentically Iranian, go to Tane Dorost Store in Shariati street, Tehran, Iran. This amazing shop offers clothes and accessories made of organic cotton and other natural fibers and the prints on them are taken from ancient Persia. In each season, there is a new theme from a different period of Persian history (along with a brief lesson), with designs reminiscent of those you’ll find on ancient Iranian pottery in the museums. You can find a collection of various stores, including clothing, bags and shoes, jewelry, electronic appliances, cosmetics, home and kitchen appliances and a hyper market all of which make this place a good choice for shopping in Iran. In addition to the modern design of the interior and exterior part in this complex, Kourosh Complex has one of the most modern family entertainment & health centers (Jupiter: family Entertainment center), cultural centers (cinema gallery), kindergarten (Kids club), Food Court, restaurants and many coffee shops. You will for sure visit Isfahan during your trip to Iran. So if you are thinking about shopping some souvenirs, you may like to pay a visit to Isfahan City Center. This is one of the largest shopping malls having a museum in the world. Isfahan City Center has a lot to offer, like a 5 star hotel, a general shopping mall with more than 750 retail outlets, a museum, restaurants, a hypermarket, airline offices, an international financial center (IFC) and a World trade center (WTC), and an entertainment center with seven cinema screens and a fair complex. The Prestige Land Iran Co. developed this city center and it was designed by the architect Medardo Cadiz of Cadiz International, Inc. It is located near Isfahan city and the towns of Sepahan Shahr and Baharestan and it has an easy access to the railway station, airport, and bus stops. Isfahan Bazaar is also known as Qeysariyeh Bazaar and is located around the magnificent Naqhs-e Jahan Square. So this is a part of a UNESCO World Heritage Site. Aside from shopping, you have to visit it as a historical site. But be sure! You won’t get out of this bazaar empty-handed. If you are looking for handmade artworks to buy as a souvenir, Isfahan bazaar is one of the best choices. Stroll down the streets of the bazaar ad get a good look at how artists create those astonishing gold and copper pots, decorative metals, inlayed dishes, painted plates, etc. having looked at them, you cannot help buying some artworks from them. If you need a break, you can find plenty of traditional teahouses and restaurants in the bazaar. Persian Gulf Complex in Shiraz is the largest shopping mall in Iran! It is also called to be the biggest complex in the Middle East. If you are looking for place including both cheap and luxurious products, this is the best choice. The complex includes the Burj Fars International, a 262-room hotel, an indoor and outdoor swimming pool, tennis court, convention center, a helipad, and two amusement parks, one of which is indoor, called Iran Land, having video games, a bowling alley and a 3-story billiard hall. But the outdoor amusement park has not yet been built. Persian Gulf Complex also has six 240-seat modern cinemas. Another amazing place for buying authentic Persian stuff is Vakil Bazaar in Shiraz. You won’t forget its great atmosphere. This bazaar is located in the historical part of Shiraz and was built by the order of Karim Khan, the founder of Zand dynasty. The vaulted brick structure in this bazaar keeps it coolduring summer and warm in winter. The best souvenirs to buy in this bazaar are hand woven carpets and antiques. There is an interesting part in this bazaar, called Saray-e Moshir, which is a restored caravanserai with a popular teahouse. Anyone visiting Saray-e Moshir buys some handicrafts there. Tabriz’s Laleh Park is the first shopping center of brands in Iran. An entertainment center and a five stared hotel are located beside the shopping center. As this complex has access to the highway system and it has also various utilizations, it is considered as valuable project in Tabriz. The trade center of the Laleh Park includes a collection of various goods and brands of clothing, jewelry, shoes and bags, home appliances, sporting goods, video and audio appliances, restaurants and coffee shops, bank and other services. If you travel to Tabriz, you must visit Tabriz Bazaar, as it is the longest covered building in the world and registered on UNESCO’s list. This is the oldest bazaar in Iran and it has anything you need to buy. Rug, leather, shoes, spice, jewelry, and copper are among the most famous goods in Tabriz Bazaar. Timcheh Amir, the quarter of gold traders is located in the southern part of the bazaar and one of the most amazing sections of the complex, so make sure you check it out. And remember to at least try on a Papakh, or Azeri hat. 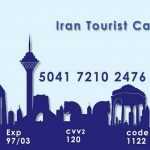 Iran Destination, Iran tour and travel agency, helps you explore all these shopping centers in Iran. You can choose an Iran Tour among our Iran Package Tours, and then you will visit any cities you like. You will also have free time to pay these shopping centers a visit and buy whatever you want. If you have any ideas or any questions, please feel free to ask our friendly team members, whether through online chat or through Contact Us page.